Maybe you've never thought this way, but you're part of the largest biological experiment ever. For the first time, the vast majority of the world population is holding microwave transmitters high power (in the form of cell phones) against their heads, exposing themselves to radiation levels that did not know before.The risks seem obvious, says Martin Blank in an article for Salon , but do not know for sure how big they are. 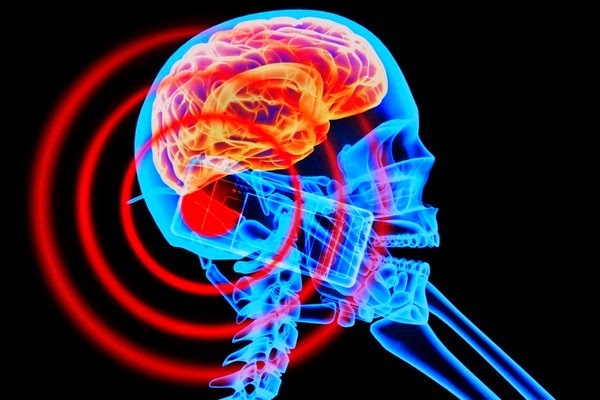 Cell phones generate electromagnetic fields and emit electromagnetic radiation. Yet it is not clear what the effects of this radiation, but we know that affects us. Potential negative effects are Alzheimer's and various cancers, the problem is that they are diseases that can take many years to develop. But not only this radiation is generated by electronic devices. In fact the whole power grid is a generator of electromagnetic radiation which is submerged in 75% of the world population continuously. The science of bio-effects caused by electromagnetic radiation is budding and scientists have even been able to define what constitutes a safe level of exposure to this radiation. What is known is that all electromagnetic radiation affects living things. Numerous studies have shown that radiation can cause mutations in DNA. An Israeli study found that people who use cell phones more than 22 hours per month is 50% more likely to develop cancer in the salivary glands. Other studies show that prolonged use of cell increases up to 240% risk of developing tumors on the side of the head where the phone is used. It is also known that individuals who live within a diameter of 400 meters around a transmission tower for 10 or more years, develop cancer three times more often. Other research has shown that using a cell phone 2 to 4 hours a day leads to a 40% decline in sperm count and sperm survivors show reduced levels of viability. Electromagnetic radiation affects not only humans but to all nature. Is known that may affect the ability of birds and bees to navigate. It is believed that even the increased radiation is linked to the massive collapse of bee colonies worldwide. In one study, only place a cell phone in front of a honeycomb led to the rapid and complete disappearance of the entire colony. Dr. Reba Goodman found that relatively weak fields common sources can affect the ability of cells to produce proteins. He had always believed that only the ionized forms of radiation such as ultraviolet light or X-rays are harmful to humans, but non-ionized forms, being weaker, they were harmless. It was known that electromagnetic radiation could cause an increase in body temperature, but this was long believed that it was benign. The problem is that now all the research takes on a political tinge. As has happened with snuff, pesticides or fracking, industry pays scientists to create "science" that guarantees the safety of their products, in addition to systematically harass and block all scientists who say otherwise. As Dr. Henry Lai (who along with Dr. Narendra Singh conducted research that showed DNA damage caused by electromagnetic radiation): "Many of the studies are made only to serve as public relations tools for industry . " Not only industries press to hide the true effects of radiation, but people seem willing to ignore it. The big problem is that currently the use of devices that emit electromagnetic radiation is irreversible. All post-nineteenth century society is based on use and the world as we know it would collapse the moment that everyone turn off their computers and their phones. No one wants to return to obscurantism, the solution is not to eliminate mobile devices, but regulate the industry and force generating technology to reduce emissions of radiation. It is essential to personal conscience than we can cause these devices level and will control their use and we realize that we need not be so dependent on them.